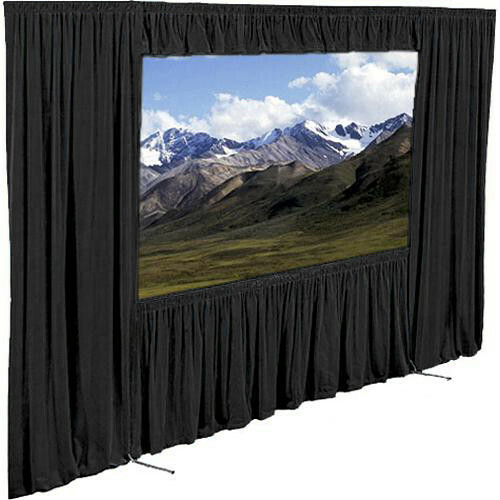 This is the Draper 220199 Dress Kit for The Cinefold Projection Screen. Dress Kits can turn an ordinary presentation into one that is more professional The luxurious drapes surround the image and help keep your audience's attention where it belongs - on the screen. If you are doing a rear screen show, a Dress Kit can be particularly useful since it not only hides the equipment but prevents the projection light from blaring into the eyes of your viewers. It assembles quickly without the use of tools. It can also be adjusted to accommodate different aspect ratios. Box Dimensions (LxWxH) 53.0 x 16.0 x 13.0"